When you know you will be leaving a tenancy early there are a few basic steps you can take to ensure that your departure is a smooth one. Notify the landlord of your impending move, find someone to take over the tenancy as required, contact utility companies with your departure date, set up forwarding for the mail, have the property inspected by your landlord, obtain your security deposit and leave with your landlord’s recommendation in hand in order to avoid hassle once you have left. If you want to leave a tenancy early it is imperative that you notify the landlord of your plans. Be ready to give your expected move-out date and any explanation you care to offer for why you can not complete the terms of your tenancy. 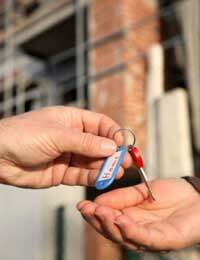 Reassure your landlord that you understand your responsibilities for leaving early, especially regarding finding new tenants or losing a security deposit, and that you will be responsible for all aspects of your departure. When you leave a tenancy early you will need to contact utility companies such as electricity, natural gas, telephone and even cable television to let them know that any account in your name must now be reverted back to the landlord’s name. If you have flatmates who will be staying on and can put their names on the accounts then you may need to let the utility companies know to take your name off of the account and the other person may need to ring or write to let them know the account should now be in his or her name instead. Mail forwarding, also known as mail redirecting, means that the Royal Mail will reroute pieces of mail from your old address to your new address. This service lasts from a minimum of one month to a maximum of two years and is particularly useful for sensitive information such as bank statements, student loan documents and other official post. Items which are redirected generally arrive one day later than would be delivered otherwise. If you are the sole tenant of a property you are leaving early you may need to ask your landlord to carry out an inspection to determine that you have left the home in proper order. If you are sharing with flatmates who are staying on then this inspection may not be carried out until their tenancy also ends. Discuss with your flatmates and landlord the best option for you to be treated as an individual who has contributed to and maintained the property to some degree. Prior to leaving your tenancy you will also need to request a written recommendation from your landlord, and hopefully have it in time by the time you move out. This generic letter should simply state to any future landlord that you have been a good tenant, followed the terms of your tenancy and that the landlord would recommend you to other landlords. Leaving a tenancy early can be a bit of a hassle, but taking certain steps should help it all go well. Notifying your landlord, finding a replacement tenant, contacting utility companies, setting up mail forwarding, having the property inspected, obtaining your security deposit and leaving with a recommendation in hand are all important before leaving a property.